This year, the International Metalworking Exhibition (AMB) took place in Stuttgart from 15. – 19.09.2018. 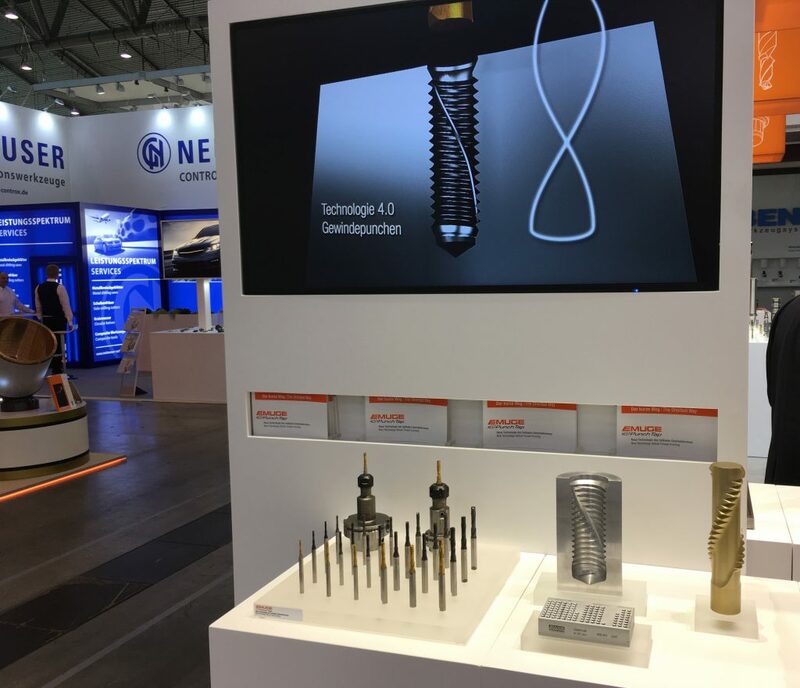 Once again, our Technology Punch Tap was one of the highlights at the EMUGE-FRANKEN booth. Customers continued to show great interest in this new technology in many informative discussions. On the basis of a live presentation on our exhibition tool machine, the high savings potential within the threading time could be perfectly illustrated. For better explanation, various punch tap dimensions and tool designs and an illustrative model were exposed. The series application where clarified with the showed 3.0 TFSI engine from AUDI. 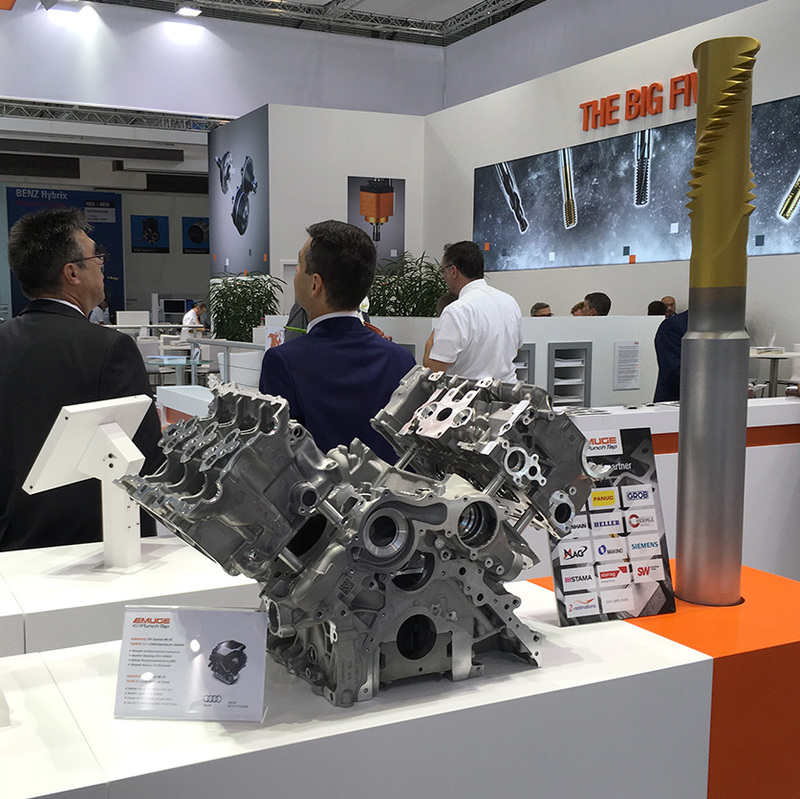 With this motor, which has been mass-produced since 2016, the tool life of 150,000 threads per Punch Tap tool is currently reached reliably. 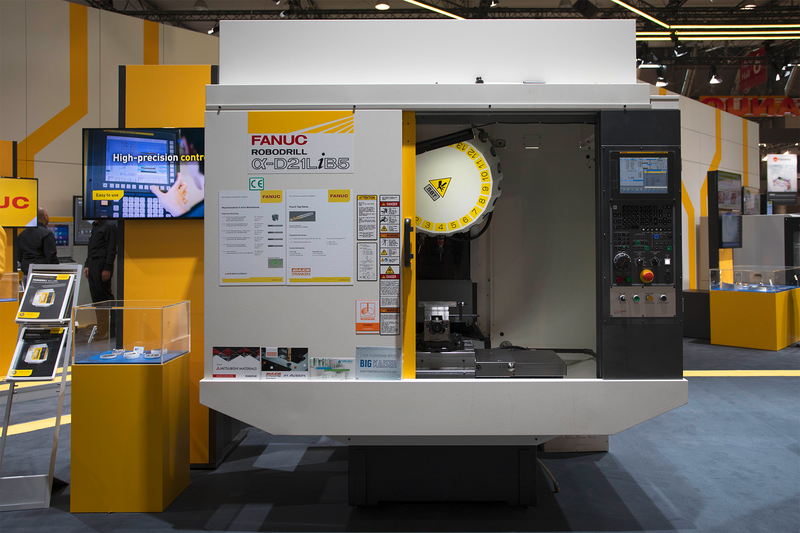 Visitors at the FANUC booth were able to see for themselves the significant reduction in threading time during the machine demonstration. They compared the cycle times of thread cold forming tools with Punch Tap in an aluminum wrought alloy. With a fixed processing time of 12.8 s, 24 threads could be produced with Punch Tap. In contrast, there were only 15 threads produced with conventional thread cold forming.